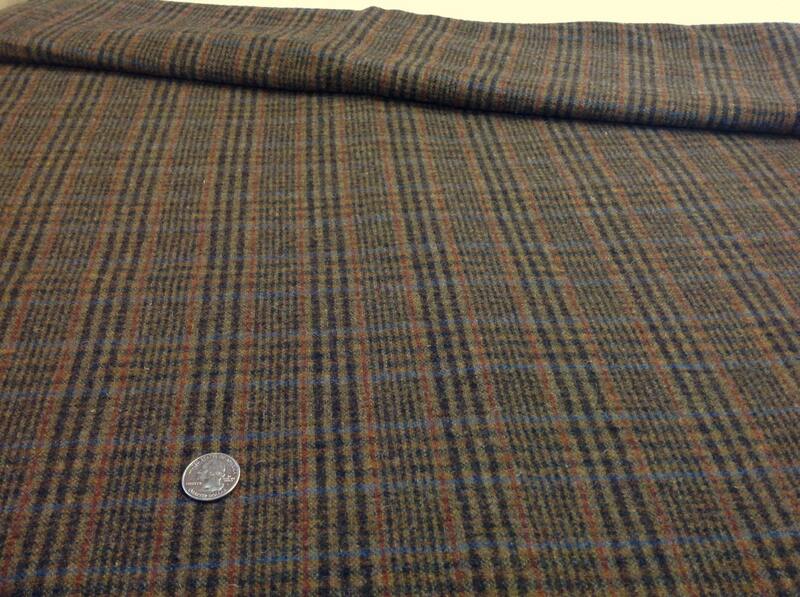 This listing is for one fat quarter yard of brown plaid wool fabric for rug hooking and applique. 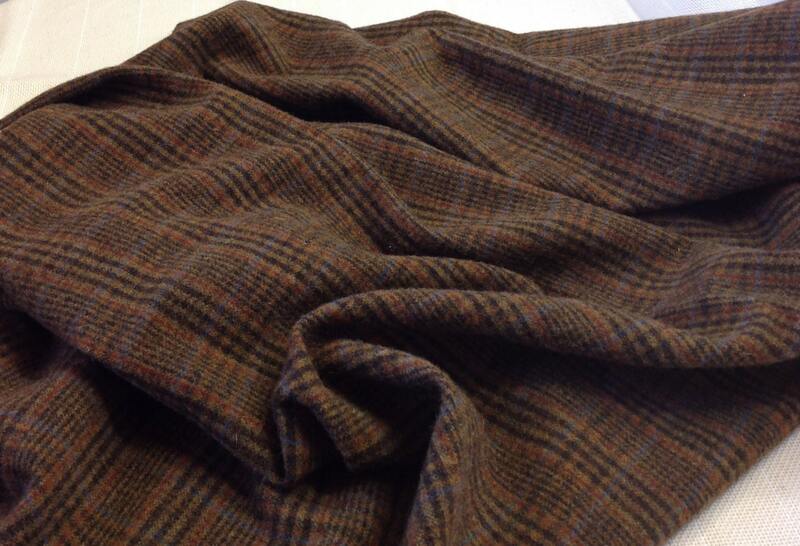 Colors in the plaid include dark brown, rust and warm medium brown with threads of blue. 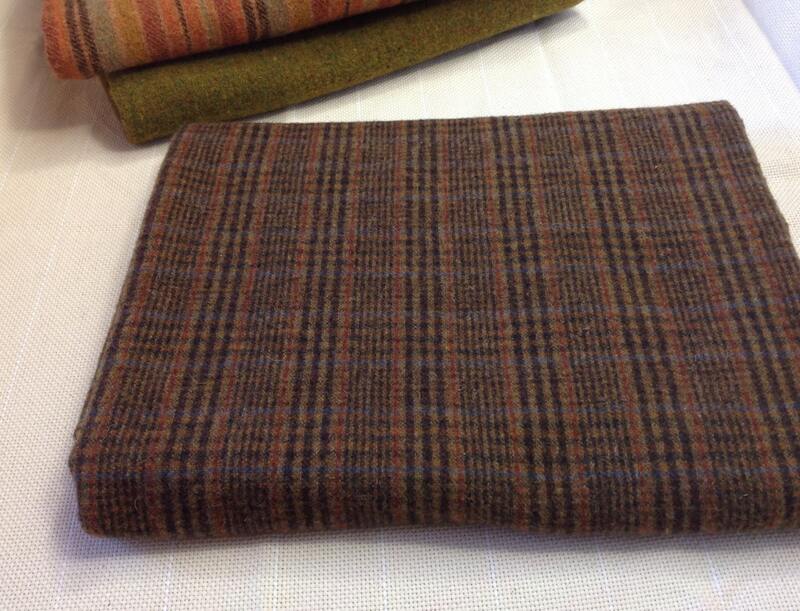 This 100% wool fabric is a medium weight about 12.4 oz/yard. It is used for rug hooking, applique, sewing and other art projects. I have prepared it by washing and drying it with fluffy towels in the dryer (fulled). For rug hooking, it is suitable for #8 (1/4" wide strips) and wider. The fat quarter measure approximately 16" x 28". A great addition to your stash. Great for backgrounds, animals, tree trunks, ground, borders, fields and more. Mix it with other darks for a lovely background. A great addition to your stash. Colors may look different on your monitor. Please refer to the color description above. Time of day and indoor or outdoor can give a totally different look. I have placed a few of my other selections in the background of the 1st photo to help focus in on the true color. Thank you for visiting and please feel free to contact me with any questions. Another example of fine wool. I am so pleased with the hand , sheen, and depth of colors.